Yes, of course, there are some situations, in which your computers or laptop stop working, when it comes to sound. If you do not have any idea to play sound on your PC, then this post is for you. In this post, you are going to know about a right way to get sound of your computer on the Android phone. In fact, the Google Play Store is packed with many apps, which help you in using the Android devices in the form of speakers. Here, you are getting to know about the SoundWire app, which is very easy and fast to setup. A right way to use an android phone as speaker! 1 A right way to use an android phone as speaker! 3 How to adjust the volume? 4 How to disconnect the server? 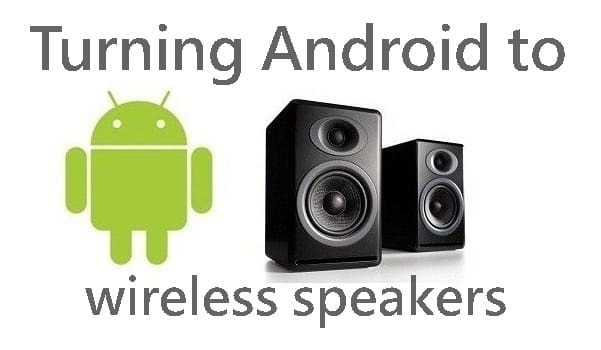 This app allows you to use android devices as speakers without any cables or setups. It eliminates the need of cables, when you want to bring your android phone as a speaker. The concept behind this app is the wireless portable speakers. For this, it is vital to have a Wi-Fi connection and both the devices, such as, an Android device and a computer. Make sure to connect both the devices on the same network connection. Getting started with the process, first of all, install the SoundWire App on the Android’s phone. Where to download it? Go to Google Play Store and download it to start using it. While downloading, you will come up with two options, such as paid and free. It is compulsory to go with the free option as you are going to use it for the first time. Once you have completed the installation process, the next step to take is to switch to your computer. At this time, you need to download the PC client of the SoundWire. You can get the PC client for both Linux and Windows platform. After downloading the right version of SoundWire server, it is important to extract the downloaded rar file and then run the setup of the server. When it comes to Linux users, there are some instructions mentioned in the read me file, they need to follow those instructions. Afterwards, installation of the setup on the computer needs to be done and then launch SoundWire server. The next, you need to choose the Default multimedia device, which is located under the Input selection. From the drop down menu, this option can be selected. In the next tab, you will see the coiled wire button, after opening the app on the Android device. You need to click on that button to locate the server automatically. It is important to make sure that everything is going right. If not, then you have to follow the entire process again. In the case, when everything is going fine, the server will get connected in an automatic manner. Afterwards, you are lucky to have the message, which shows that the connection with SoundWire PC client has done rightly. There are some cases, in which the server has not been located. In these cases, the error message will be displayed, such as, could not locate server. What you would do? No need to panic, there is a solution to solve this issue. For this, there are manually settings available. You will have to input the server address manually on your android phone. Make sure to input the server address, same as of your PC, otherwise, again there might be a chance of errors. After a successful connection, the music will start playing on the computer and it will play on the android phone automatically. Using your Android’s device volume button, up and down, you can adjust the volume. Of course, the volume can be adjusted from the computer’s media player. Lastly, the SoundWire server can be used to adjust the volume. How to disconnect the server? Have you completed the work? Do you want to connect any other device? Of course, you can abort the connection by simply clicking on (x) button on the android device. Otherwise, simply close the server running on the computer to finish the connection.